An Amazing Christmas Treat for your school or nursery! 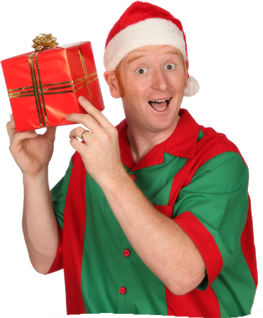 This Christmas why not give your children an extra special surprise with a show from top Devon children’s entertainer Mr Phil? 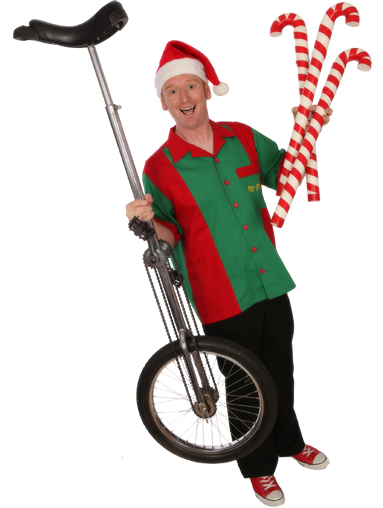 He will wow them with Juggling, Magic, Circus skills, unicycling, balloons, and loads of silly comedy that children will love! Full time professional entertainer with over 20 years experience! Britain’s Got Talent Semi finalist! Pennywell Farm Big show performer! Star Cabaret for Haven, Butlins, Pontins, Parkdean Resorts and all major UK holiday companies! our 2-6 year olds laughing the whole way through and involved them all. “Thank you so much for the entertainment at our party on Tuesday, ALL of our children and young people enjoyed it, there were a couple of children we wondered if they would be able to cope, but they did and we have pictures of them smiling and having a good time. “Mr Phil was fantastic! Both the staff and children were thoroughly entertained and engaged throughout. The Mr Phil Show is suitable for all ages from about 3-12 years. No Maximum numbers and mixed ages are not a problem, in fact Mr Phil can easily entertain the whole school at once! The regular show is usually about 45 minutes long. Mr Phil is also able to cover other requirements; with either a shorter or longer show, or to include games and music to make a full party experience! Please do get in touch for a quote. Newton Abbot, Teignmouth, Exmouth, Okehampton, Tiverton, Honiton, Kingsbridge, Tavistock and all areas inbetween. To book the show, or if you have any questions, or need any information please contact Mr Phil now. You can use the contact form below, or if you prefer feel free to email or call for a chat.